Today I’m doing a quick post to update you all on the Furever Home Friends! For those of you who don’t know, the Furever Home Friends is my new children’s series that’s releasing this August! 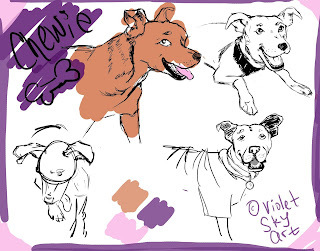 Each book is based on the story of a real shelter dog and his/her journey to adoption! 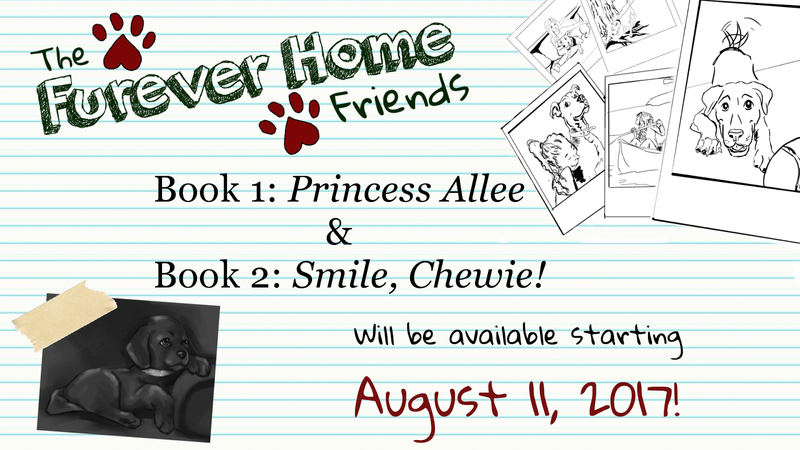 Each book also has a corresponding stuffed animal depicting that dog! To fund the production of these books and stuffed animals, I recently raised over $7,000 on Kickstarter through pre-orders. So, here’s an update on where we are! 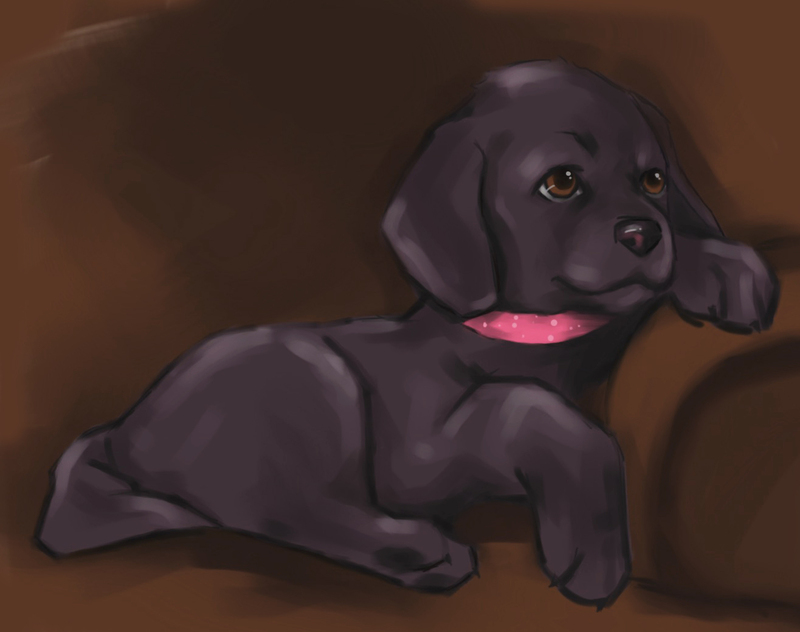 Also, our other illustrator, Brenda, has drawn this picture of Allee, which is too adorable for words! We’ve been moving forward nicely on the stuffed animals, as well. This past weekend, we ordered all of the fabric, eyes, and noses we’ll need to fulfill our stuffed animal pre-orders. As of right now, we’re estimating that illustration will be completed by the second week of July. Books and stuffed animals should be ready to ship to our Kickstarter backers by mid-August. For non-backers, or those who didn’t pre-order anything, books will also be available for commercial purchase in mid-August. We’ll send out links to those once they’re online. Which leads me to our next piece of exciting news...we have officially set a release date for the books! Friday, August 11, 2017! Stuffed animals won’t be available for commercial purchase right away. For our pre-orders and Kickstarter backers, we’re hand-making the stuffed animals. Since hand-making every stuffed animal won’t be sustainable in the long run, especially once we start adding more characters to the collection, we’ll be researching different ways to produce these stuffed animals, potentially by third parties. We’ll update everyone on that once we have more details, as well! Thanks so much to everyone who’s supported the Furever Home Friends! If you’d like more updates, you can like our Facebook page here, check our Kickstarter page here, or visit our website here.